It must be really cool to have a dad who can draw anything you ask for. Cliff can free-hand draw anything Joshua wants. On this particular night, the request was to draw cars. I didn’t put vignette on this image. The overhead spot light here created a naturally vignette look. This image caught my eye because it looks like the only thing that mattered to these two was drawing cars that night. 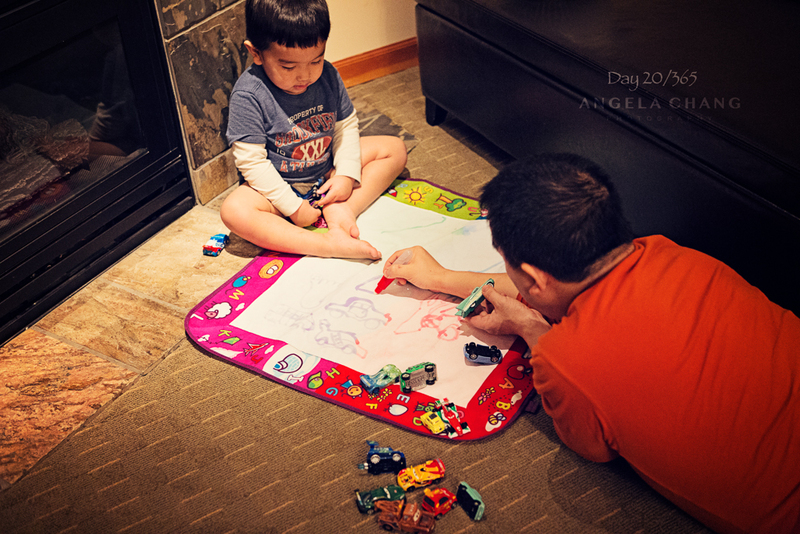 This entry was posted in 365, Photography and tagged 365, drawing by angelasaito. Bookmark the permalink.